How do I get MySQL for my site? To use a MySQL database with your site you will need to order the PHP/MySQL optional feature or the VIP PowerNet Web Hosting service which supports PHP and comes with a MySQL database. Please refer to your account setup instructions on creating your database. How many tables can we create with the MySQL database or are we provided with an actual database? If your service supports MySQL database, you are provided with 1 database and there is no limit on the number of tables you can create. What is an ODBC/DSN connection? Microsoft?s Open Database Connectivity (ODBC) protocol is a widely used and accepted API for database interaction. ODBC uses Structured Query Language (SQL) as its database access language. Most Windows-based products that use databases support ODBC. Through ODBC, applications such as Cold Fusion, FrontPage, or Active Server Pages can interact with several database systems at once. ODBC is often associated with a DSN, or a Data Source Name. That is because the DSN is the appointed name for your database in the script calling it. A DSN is like an alias to your database, and your scripts will use the alias to access your database. 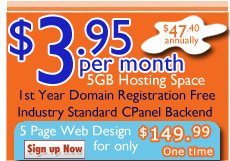 VIP PowerNet offers MySQL database support with Linux Web Hosting. 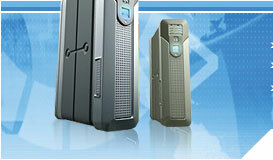 For Windows Web Hosting, MS Access and MS SQL database support is available.